She completed the VUB program in summer 2016 and immediately enrolled as a PSC student majoring in social work. Coger plans to graduate next May and transfer to the University of West Florida to complete her bachelor’s degree. For Joshua Tallant, with a 22-year military career, VUB offers a familiar place within a strange college environment. 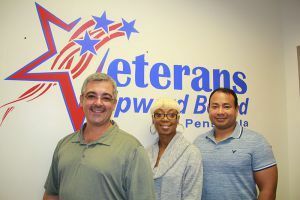 “The prep classes and school structure help us keep the ball rolling, but also important is that VUB puts veterans in touch with other veterans and helps us navigate the system,” said Tallant who completed VUB in May and is currently pursuing a bachelor’s degree in cybersecurity at Pensacola State. VUB is located in Building 6 on the PSC Pensacola campus and Rob Gregg can be reached at 850-484-1438 or rgregg@pensacolastate.edu.